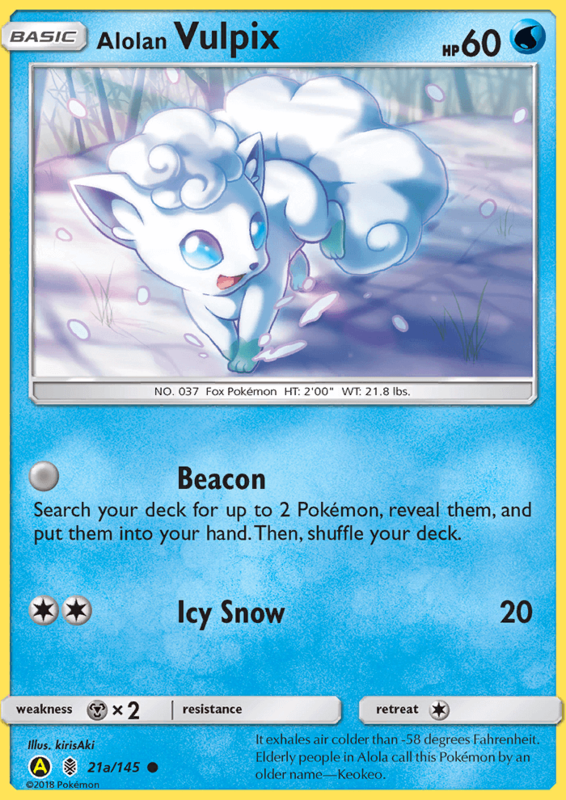 Search your deck for up to 2 Pokémon, reveal them, and put them into your hand. Then, shuffle your deck. It exhales air colder than -58 degrees Fahrenheit. Elderly people in Alola call this Pokémon by an older name—Keokeo.